Our purpose is to promote amateur radio among members, as well as, the general public, strongly support and encourage active relationships with emergency and disaster relief organizations, and conduct activities as to advance the general interest and welfare of amateur radio in all of Pender County, North Carolina. 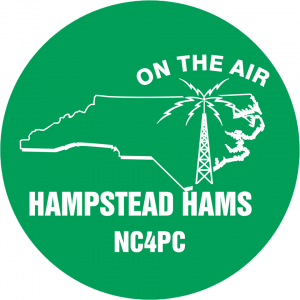 Please join us for the Hampstead Hams ragchew net every Friday evening at 8:00 PM on the 443.550 repeater; positive offset, tone of 100.0 Hz. All amateurs are invited and encouraged to check-in. Remember that meetings are the second Saturday of each month, 8:30 AM at the Surf City Fire Department - Station 2 (located at 100 Deer Run Road, Hampstead, NC). Optional breakfast at Sawmill Grill in Hampstead at 7:00 AM prior to the meeting. The Hampstead Hams want to hear you on the air! 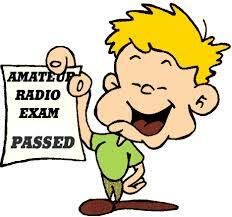 For more information on becoming a Ham or to schedule your amateur radio license exam please contact us here Additional resources regarding amateur radio license exams may be obtained through the club or W4VEC website. Please see "Links" tab.